Just because you’ve served as president of the United States and are married to the presumptive Democratic nominee doesn’t mean you can just wear whatever you want, as Bill Clinton has recently learned. 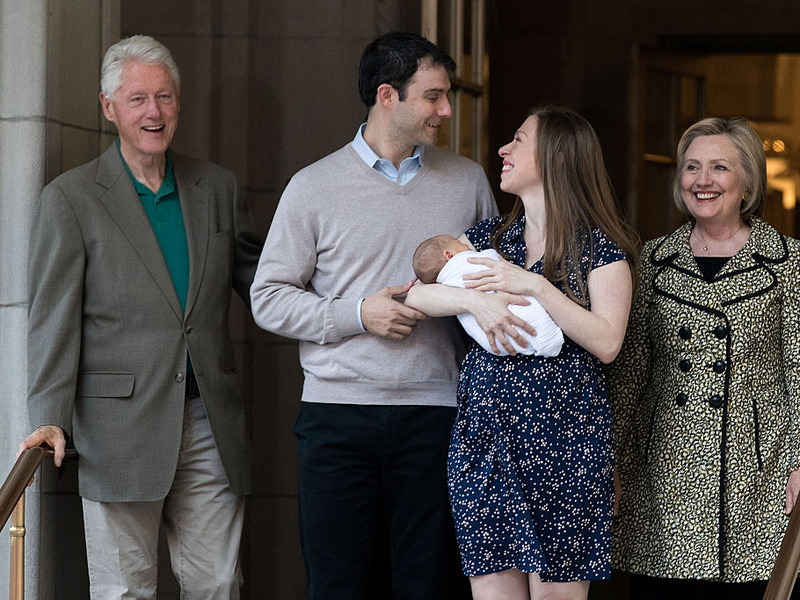 The debut of the newest Clinton, baby Aidan, was the focus for this week’s photo opp. But we can’t stop staring at the eldest Clinton’s enormous blazer. Even to the untrained eye, the blazer looks incredibly bad. It’s a drab colour and fits just about as poorly as a jacket could possibly fit — the sleeves are both too big and too long, the lapels are overwhelming, and it’s about a foot too long on the bottom. As GQ noted, “The top button of your jacket should not in fact sit directly over your belly button.” Uh, yeah. Bill, what happened? Is this even yours? Did you just grab this off someone else’s chair by accident? You would have been so much better off without, as it overwhelms your frame and makes you look like a much larger man than you really are. It doesn’t matter who you are, what you wear matters. Clinton is no suit newbie either. The man is 69, and has been wearing suits for the better part of his life. He knows what they should look like and how they should fit — no excuse for a slip-up. It could have been easily avoided had Clinton just seen a tailor. But clothing choice is about more than just how other people perceive and treat you. As we’ve written before, style is about how you perceive yourself. Dressing better can actually have a measurable effect on your performance and how successfully you move through the world. We doubt Clinton is going to experience any bouts of self doubt just because of his enormous blazer, but we’re not all so lucky. No matter who you are or what you do, your life is better served by wearing clothes that you like, that are flattering, and that actually fit you correctly. Just as Clinton needs to see a tailor as soon as humanly possible, you should check if any blazers in your closet need improving.